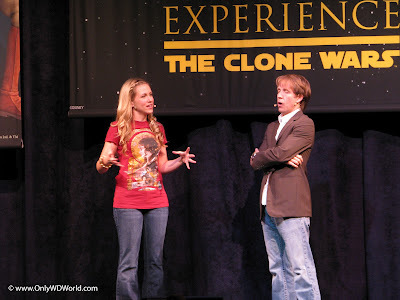 The Celebrity Hosts for the 2012 Star Wars Weekends held at the Walt Disney World Resort have been named. James Arnold Taylor and Ashley Eckstein will reprise the roles that they served in so well last year as hosts of this annual Star Wars extravaganza at Disney's Hollywood Studios Theme Park. For 4 weekends (Friday through Sunday) each year, Disney's Hollywood Studios becomes Star Wars Fan Headquarters with a variety of interactive sessions with people who either starred in or created the Star Wars Movies that people love, costumed characters, and fun-filled Star Wars based events and activities. It is a wonderful event no matter if you are just a casual fan or you can recite every line from all of the movies and can argue the origin of Aurra Sing. 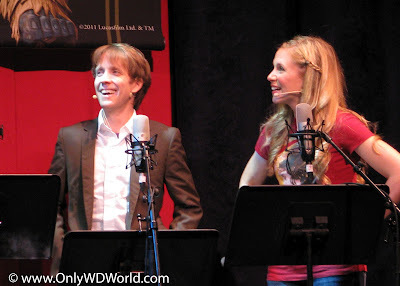 Both James Arnold Taylor & Ashley Eckstein are best known to Star Wars fans for the voices that they lend to characters in the animated Star Wars The Clone Wars series. James portrays Obi-Wan Kenobi, while Ashley voices the spunky Padawan Ahsoka Tano. James Arnold Taylor is an incredibly talented voice actor that you may have heard voicing: Fred Flintstone, Green Arrow, Johnny Test and Rocket. James will be the Official Celebrity Host for the 2012 Star Wars Weekends. 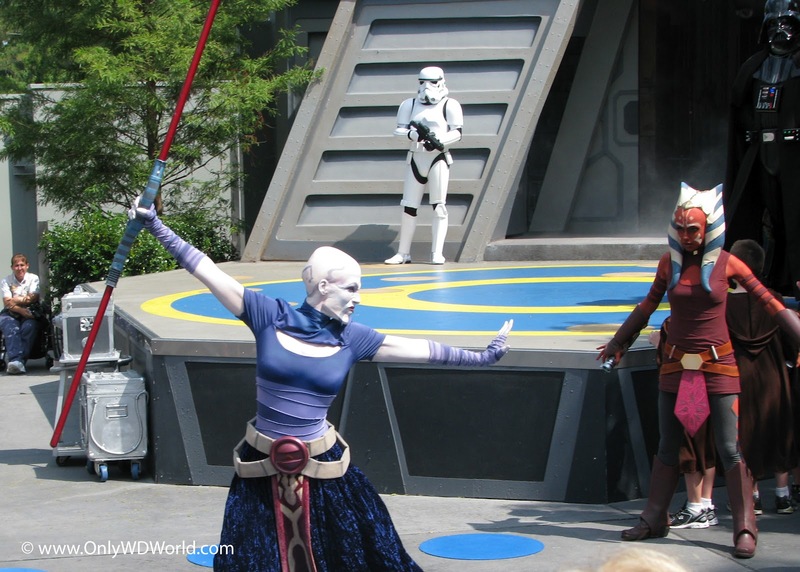 Ashley Eckstein was actually a Cast Member at Disney's Hollywood Studios before her days as an actress. Her acting career has landed her on shows such as: That's So Raven on The Disney Channel. Ashley will be the Celebrity Host of "Behind The Force," which is a show during Star Wars Weekends that gives fans a behind the scenes look at Star Wars: The Clone Wars. 0 comments to "2012 Star Wars Weekends at Disney World Names Celebrity Hosts"